Ominous signs of a global economic slowdown and international events late last week have seen New Zealand’s two year swap rate hit an all-time low of 1.78%. An interest rate swap is where two people, or parties, agree to exchange two different types of interest rate for a specified period of time. NZ interest rate swap rates are determined by the rates on NZ government bonds and the demand for paying or receiving the fixed rate. A gauge of the level of demand is the difference between the NZ government bond rate and the swap rate, known as the "swap spread". The major influences on the level of demand are corporate borrowers (who have floating rate borrowings), banks (who also want to match fixed rate mortgages against their floating rate borrowing) and issuers of fixed rate NZ$ bonds, who typically want to pay the fixed rate. But Westpac senior market strategist Imre Speizer says the record low isn’t a reflection on anything happening here. "Following the moves in the US, that what's doing it, it's not following anything here in New Zealand," Speizer says. "There was a big fall in the US and global markets on Friday and the catalyst for that was the EU PMI index figures." Late last week the release of the IHS Markit Eurozone PMI showed a contraction in EU manufacturing, which dropped 1.7% to a new six year low. Businesses across the euro zone performed much worse than expected in March which was attributed to a big fall in demand. Speizer says the major concern around the world is the obvious signs that the major economies are slowing. "That's the way the market is moving and it's pushing down yields and New Zealand is caught up in that." Earlier this month the European Central Bank announced it would delay any post-rate increase until 2020 at the earliest and was planning instead to offer banks a new round of cheap loans to help stimulate the economy. Wall Street was also down late last week, with the S&P500 down 1.9%, wiping out more than a tenth of its gains from this year. Last week the US Federal Reserve backed away from any further rate hikes this year and coupled with large downgrades for growth, inflation and interest rates, investors ran for cover. Equities fell and this was matched by an increase in people buying US Treasury bonds which led to an inversion of the US yield curve. 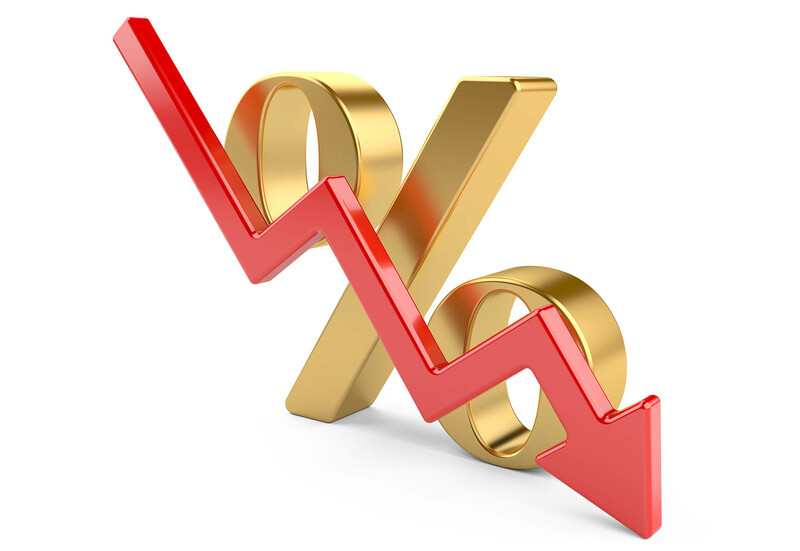 Longer term interest rates have fallen below shorter-term interest rates. Speizer says he's not expecting any great surprises from the Reserve Bank of New Zealand at its Official Cash Rate (OCR) announcement on Wednesday. "It will probably be a repeat of the February one-pager. They might talk about the increasing global risks and if anything that will be their nod towards some dovishness." But he says he doesn't expect a rate cut from Adrian Orr anytime soon. Kiwibank chief economist Jarrod Kerr and senior economist Jeremy Couchman highlighted the inverted US yield curve in their regular market update on Monday. But they said people shouldn’t act in haste. “Before you start cleaning out the bomb shelter, however, the recent US inversion is in its early stages, and the central bank has adjusted, almost immediately, its signal. There are no more hikes coming now. So what is an inverted yield curve? Kerr and Couchman put it in simple terms.